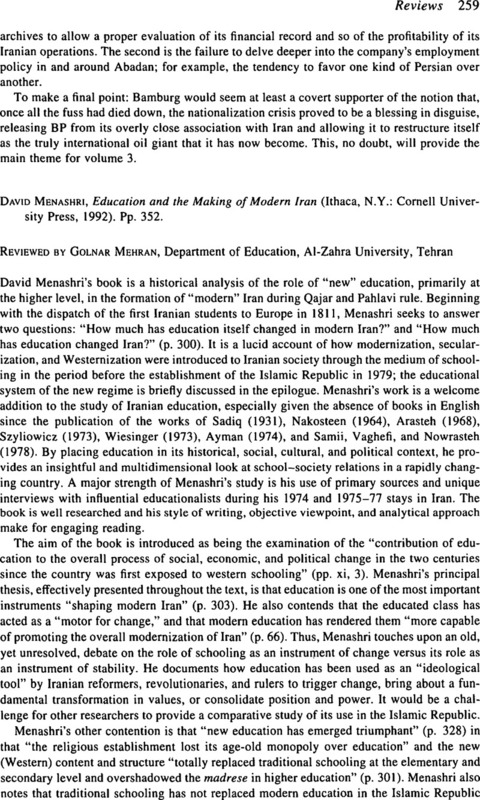 David Menashri, Education and the Making of Modern Iran (Ithaca, N.Y.: Cornell University Press, 1992). Pp. 352.